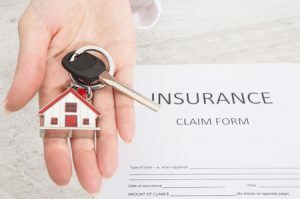 When Florida residents and business owners want to shop policies from the very best insurance companies, they know to turn to the independently owned Five Brothers Insurance agency. At Five Brothers Insurance, we are able to offer our policy olders plans from the world’s leading life, homeowners, commercial and flood insurance companies, and since we’ve been providing superior insurance service and support for nearly 3 decades, we know what policy options families and businesses need to ensure they are protected when they most need it. Whether you are looking for specific flood insurance companies or simply searching for the very best insurance companies available to you to satisfy other insurance policy needs, our licensed and dedicated insurance agents can help. After taking the necessary time to get to know you, your coverage requirements and any budgetary limitations, your Five Brothers Insurance agent will provide you with a selection of affordable policy plan options and thoroughly review the details and differences amongst the various policy choices. At Five Brothers Insurance, we know that every person or business is different with varying budgets and truly unique insurance needs. It is for this reason that we have remained independent and can provide policyholders with plans from nearly any insurance carrier or provider. If you live or work near Tampa, St. Petersburg, Clearwater, Sarasota, New Port Richey or the neighboring areas and are interested in having a Five Brothers Insurance agent provide you with policy options from the world’s best insurance companies, contact us today! We look forward to providing you with the personal and dedicated service you deserve!